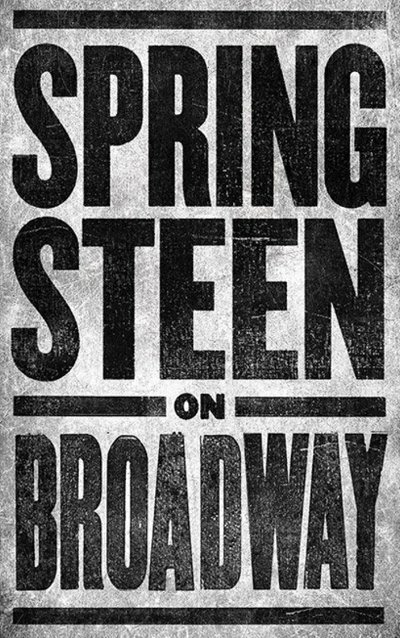 Before he is done, Bruce Springsteen will have played on Broadway for over a year. 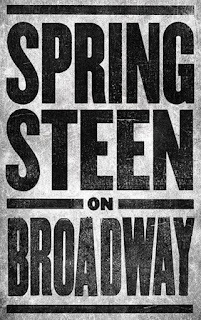 On Wednesday (March 21), Bruce extended the run of his Springsteen on Broadway through December 15, 2018. The show had its first preview on October 3 and opened on October 12, 2017. All performances have been at the Walter Kerr Theatre, one of the smaller houses on the Great White Way. Produced by Jon Landau and George Travis and associate produced by Barbara Carr, the show see Springsteen alone on the stage for the majority of the night telling stories about his career along with playing fifteen songs from Greeting From Asbury Park, NJ's "Growin' Up" to Wrecking Ball's "Land of Hope and Dreams". He is joined for a couple of songs most nights by his wife, Patti Scialfa. Springsteen on Broadway is, by far, the most expensive ticket on Broadway. According to Playbill, the average ticket price last week was $507.60 with Hamilton being second at $292.93. For the week of March 18, the show was sold out, bringing in $1,924,820. It's total gross, so far, is $44 million. Tickets for the new run of dates go on sale on March 29 at 11 AM ET through Ticketmaster's Verified Fan program which tries to ensure that tickets are not going to scalpers and resellers. Only those that are already in the program will be eligible for the new tickets.